Is Tarentino Directing Foreign Policy Now? 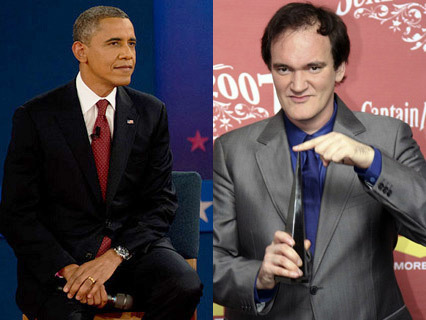 Lately it’s looked like our foreign policy is being directed by Quentin Tarentino, once decreed a genius because some underling mislabeled the sequence of the reels before the Pulp Fiction premiere. — First we’re gonna bomb Syria because diplomacy failed, we’re outta options, and he doesn’t need anyone’s permission. — Then he started looking for a coalition to attack Syria. — Then he asked Congress’s permission to attack Syria. — Now he wants us to hold fire while he seeks a diplomatic solution before taking action. Previous Post So You Think Putin is Bluffing?